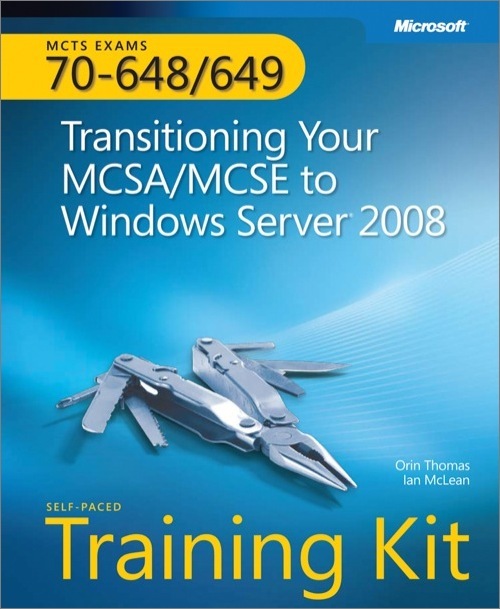 Ace your preparation for the skills measured by MCTS Exams 70-648 and 70-649 and on the job. Work at your own pace through a series of lessons and reviews that fully cover the objectives from both upgrade exams. Then, reinforce and apply what you’ve learned through real-world case scenarios and practice exercises. This official Microsoft study guide is designed to help you make the most of your study time. Assess your skills with the practice tests on DVD. You can work through hundreds of questions using multiple testing modes to meet your specific learning needs. You get detailed explanations for right and wrong answers—including a customized learning path that describes how and where to focus your studies. Proszę zwrócić uwagę, iż pozycja ta składa się z dwóch książek.